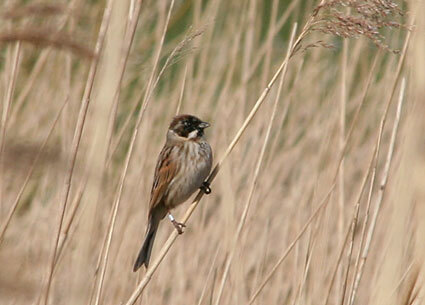 Last weekend we went to Flevoland for a day to hike and watch birds at Oostvaardersplassen. The weather was beautiful and there were many people out and about walking and bicycling. We saw Red Deer, Konik wild horses and several new birds. Flevoland is the Netherlands’ 12th province, located in the center of the country at the location of the former Zuiderzee. The province was established in 1986 after it was successfully reclaimed from the sea in 1968. The Oostvaardersplassen is a landscape of shallow pools, islets and swamps. Originally, this low part of the new polder was destined to become an industrial area. Spontaneous settlement of interesting flora & fauna turned the area into a successful nature park. 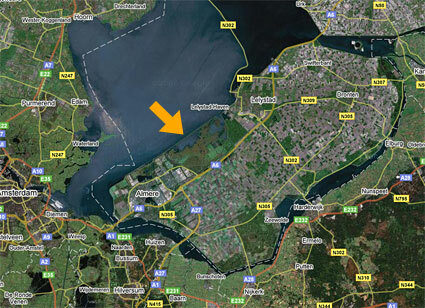 On this Google map you can see the outline of Flevoland and the arrow indicates the Oostvaardersplassen. 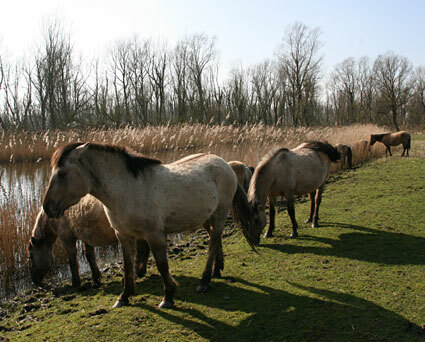 The Oostvaardersplassen are home to hundreds of wild horses, the Konik. They were released to keep the landscape open and alter it to produce more park-like forest. We saw dozens of them roaming around the swamps. On the 5-km trail (Zeearendroute) near the visitor center, we saw many fallen trees from the heavy storm earlier this year, and a lot of the bark had been eaten from the trees by Red Deer. The bare trunks were covered with teeth scratches. 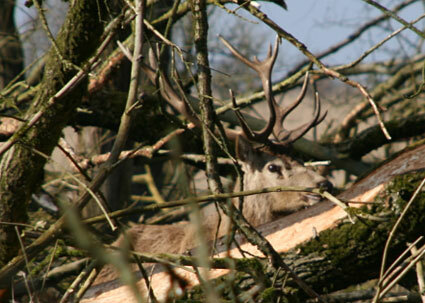 A couple of minutes later we saw a buck Red Deer munch away on some bark just 50 meters away from us. With him was his herd of 5 or 6 females. Later we saw some other groups of deer. 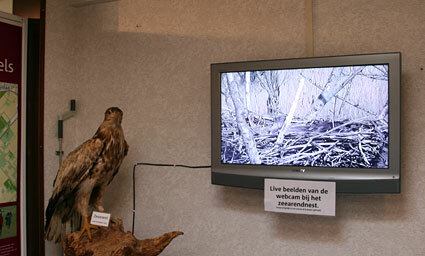 This entry was posted on Friday, March 16th, 2007 at 11:56 pm CET and is filed under Life in Holland, Nature	with tags birding, flevoland, Nature, netherlands, oostvaardersplassen. You can follow any responses to this entry through the RSS 2.0 feed. You can leave a response, or trackback from your own site.